The premiere of our new work ‘COURAGE’ created in collaboration with illustrator Joanna Layla with music composed and produced by Robert Logan. 3 entities sitting on a bench, not related but in their own space and mind contemplating “When content with just who you are- no more, no less. That’s the moment you find yourselves proud owners of everything that can not be bought”. An evening of curated works, immersive dance and captivating collaborations. Exclusive installation from Maresa Smith Photography. “Hatched” setup to welcome interdisciplinary collaborations in a safe environment, come and enjoy a burst of innovation . Network with other passionate creatives who desire to grow and alter new forms of expression through movement. 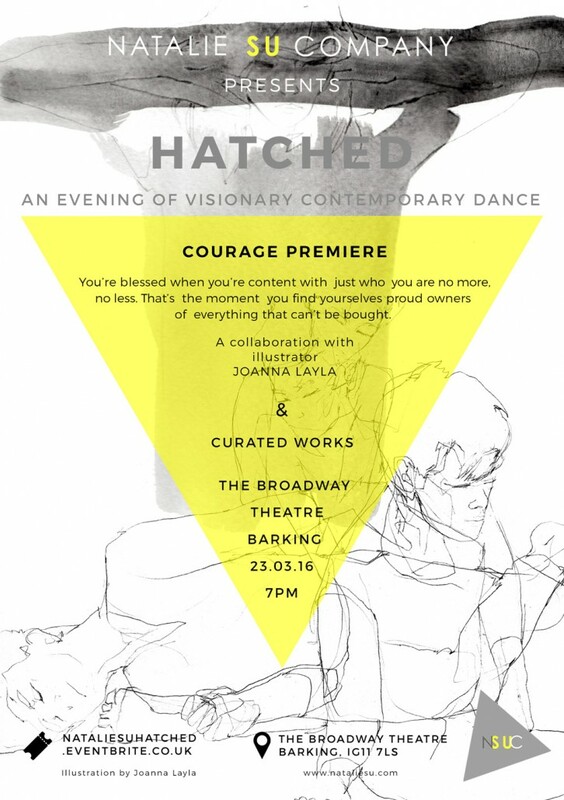 Natalie Su Company is curating a night of new interactive, innovative works at The Broadway Theatre on the 23rd of March 2016. We are seeking proposals from experienced contemporary companies, independent choreographers and performance artists. Your work will be site specific, shared in the Foyer performance space of the Broadway, here you may chose to engage with the audience and take advantage of the space. There will be projection, sound and lighting available. 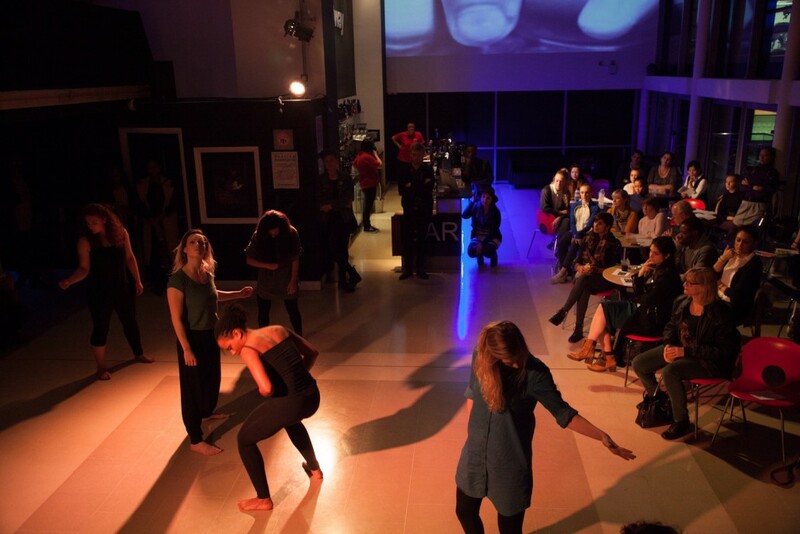 This evening is to encourage new creatives in the dance industry, aiming to be highly supportive and nurturing for the artists involved and an interactive opportunity for audiences, offering them an insight into new work with a Q&A time. Peer artists, venue managers and representatives from arts and dance organisations will be invited to attend. Artists taking part are encouraged to invite guests. We are seeking works from 5 to 15 minutes in length. Deadline for submission is 6pm 23rd February 2016. Successful applicants will be notified by 25th February 2016 and required to attend an informal meeting at the Broadway Theatre with Natalie Su Robinson, Company Director on Saturday the 27th at 4:15pm.